The first time that God became flesh was through conception by the Holy Spirit, and it was related to the work He intended to do. The Age of Grace began with Jesus’ name. When Jesus began to perform His ministry, the Holy Spirit began to testify to the name of Jesus, and the name of Jehovah was no longer spoken of; instead, the Holy Spirit undertook the new work principally under the name of Jesus. The testimony of those who believed in Him was borne for Jesus Christ, and the work they did was also for Jesus Christ. The conclusion of the Old Testament Age of Law meant that the work principally conducted under the name of Jehovah had come to an end. Henceforth, the name of God was no longer Jehovah; instead He was called Jesus, and from here on the Holy Spirit began the work principally under the name of Jesus. So, today, the man who still eats and drinks the words of Jehovah, and still does everything according to the work of the Age of Law—aren’t you blindly conforming to regulations here? Are you not stuck in the past? You know now that the last days have arrived. Can it be that, when Jesus comes, He will still be called Jesus? Jehovah told the people of Israel that a Messiah would be coming, and yet when He did come, He was not called Messiah but Jesus. Jesus said that He would come again, and that He would arrive as He had departed. These were the words of Jesus, but did you see the way in which Jesus departed? Jesus left riding on a white cloud, but can it be that He will personally return among men on a white cloud? If that were so, would He not still be called Jesus? When Jesus comes again, the age will have already changed, so could He still be called Jesus? Is it that God can only be known by the name of Jesus? May He not be called by a new name in a new age? Can the image of one person and one particular name represent God in His entirety? In each age, God does new work and is called by a new name; how could He do the same work in different ages? How could He cling to the old? The name of Jesus was taken for the sake of the work of redemption, so would He still be called by the same name when He returns in the last days? Would He still be doing the work of redemption? Why is it that Jehovah and Jesus are one, yet They are called by different names in different ages? Is it not because the ages of Their work are different? Could a single name represent God in His entirety? This being so, God must be called by a different name in a different age, and must use the name to change the age and to represent the age. For no one name can fully represent God Himself, and each name is able only to represent the temporal aspect of God’s disposition in a given age; all it needs to do is to represent His work. Therefore, God can choose whatever name befits His disposition to represent the entire age. Regardless of whether it is the age of Jehovah, or the age of Jesus, each age is represented by a name. At the end of the Age of Grace, the final age has arrived, and Jesus has already come. How could He still be called Jesus? How could He still assume the form of Jesus among men? Have you forgotten that Jesus was no more than the image of a Nazarene? Have you forgotten that Jesus was only the Redeemer of mankind? How could He take on the work of conquering and perfecting man in the last days? Jesus left riding on a white cloud—this is fact—but how could He return on a white cloud among men and still be called Jesus? If He really did arrive on a cloud, how would man fail to recognize Him? Wouldn’t people all over the world recognize Him? In that case, wouldn’t Jesus alone be God? In that case, the image of God would be the appearance of a Jew, and would moreover be the same forever. Jesus said that He would arrive as He had departed, but do you know the true meaning of His words? Can it be that He told this group of you? All you know is that He will arrive as He left, riding on a cloud, but do you know exactly how God Himself does His work? If you were truly able to see, then how are the words that Jesus spoke to be explained? He said: When the Son of man comes in the last days, He Himself will not know, the angels will not know, the messengers in heaven will not know, and all humanity will not know. Only the Father will know, that is, only the Spirit shall know. Even the Son of man Himself does not know, yet you are able to see and know? If you were capable of knowing and seeing with your own eyes, wouldn’t these words have been spoken in vain? And what did Jesus say at the time? “But of that day and hour knows no man, not the angels of heaven, nor the Son, but My Father only. But as the days of Noah were, so shall also the coming of the Son of man be. … Therefore be you also ready: for in such an hour as you think not the Son of man comes.” When that day comes, the Son of man Himself will not know it. The Son of man refers to the incarnate flesh of God, a normal and ordinary person. Even the Son of man Himself does not know, so how could you know? Jesus said that He would arrive as He had departed. When He arrives, even He Himself does not know, so can He inform you in advance? Are you able to see His arrival? Is that not a joke? Each time God comes to earth, He changes His name, His gender, His image, and His work; He does not repeat His work. He is a God who is always new and never old. When He came before, He was called Jesus; can He still be called Jesus this time when He comes again? When He came before, He was male; can He be male again this time? His work when He came during the Age of Grace was to be nailed to the cross; when He comes again, can He still redeem mankind from sin? Can He be nailed to the cross again? Would that not be to repeat His work? Didn’t you know that God is always new and never old? There are those who say that God is immutable. That is correct, but it refers to the immutability of God’s disposition and His substance. Changes in His name and work do not prove that His substance has altered; in other words, God will always be God, and this will never change. If you say that the work of God is unchanging, then would He be able to finish His six-thousand-year plan of management? You only know that God is forever unchanging, but do you know that God is always new and never old? 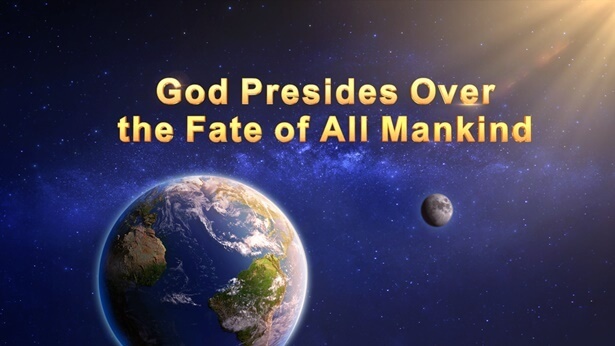 If the work of God is unchanging, then could He have led mankind all the way to the present day? If God is immutable, then why is it that He has already done the work of two ages? His work never ceases to move forward, which is to say that His disposition is gradually revealed to man, and what is revealed is His inherent disposition. In the beginning, God’s disposition was hidden from man, He never openly revealed His disposition to man, and man simply had no knowledge of Him. Because of this, He uses His work to gradually reveal His disposition to man, but working in this way does not mean that God’s disposition changes in every age. It is not the case that God’s disposition is constantly changing because His will is always changing. Rather, it is that, because the ages of His work are different, God takes His inherent disposition in its entirety and, step by step, reveals it to man, so that man may be able to know Him. But this is by no means proof that God originally has no particular disposition or that His disposition has gradually changed with the passing of the ages—such an understanding would be erroneous. God reveals to man His inherent and particular disposition—what He is—according to the passing of the ages; the work of a single age cannot express the entire disposition of God. And so, the words “God is always new and never old” refer to His work, and the words “God is immutable” to what God inherently has and is. Regardless, you cannot make the work of six thousand years hinge upon a single point, or circumscribe it with dead words. Such is the stupidity of man. God is not as simple as man imagines, and His work cannot linger in any one age. Jehovah, for example, cannot always stand for the name of God; God can also do His work under the name of Jesus. This is a sign that God’s work is always moving in a forward progression. The work of God throughout all of His management is perfectly clear: The Age of Grace is the Age of Grace, and the last days are the last days. There are distinct differences between each age, for in each age God does work which is representative of that age. For the work of the last days to be done, there must be burning, judgment, chastisement, wrath, and destruction to bring the age to an end. The last days refer to the final age. During the final age, will God not bring the age to an end? To end the age, God must bring chastisement and judgment with Him. Only in this way can He end the age. Jesus’ purpose was so that man might continue to survive, to live on, and that he might exist in a better way. He saved man from sin so that he might cease his descent into depravity and no longer live in Hades and hell, and by saving man from Hades and hell He allowed him to go on living. Now, the last days have arrived. He shall annihilate man and completely destroy the human race, that is, He shall transform mankind’s rebellion. For this reason, it would be impossible, with the compassionate and loving disposition of the past, for God to end the age or to bring His six-thousand-year plan of management to fruition. Every age features a special representation of God’s disposition, and every age contains work that should be done by God. So, the work done by God Himself in each age contains the expression of His true disposition, and both His name and the work that He does change along with the age; they are all new. During the Age of Law, the work of guiding mankind was done under the name of Jehovah, and the first stage of work was initiated on earth. At this stage, the work consisted of building the temple and the altar, and using the law to guide the people of Israel and to work in their midst. By guiding the people of Israel, He launched a base for His work on earth. From this base, He expanded His work beyond Israel, which is to say that, starting from Israel, He extended His work outward, so that later generations gradually came to know that Jehovah was God, and that it was Jehovah who created the heavens and earth and all things, and that it was Jehovah who made all creatures. He spread His work through the people of Israel outward beyond them. The land of Israel was the first holy place of Jehovah’s work on earth, and it was in the land of Israel that God first went to work on earth. That was the work of the Age of Law. As for the work of the Age of Grace, Jesus was the God who saved man. What He had and was was grace, love, compassion, forbearance, patience, humility, care, and tolerance, and so much of the work that He did was for the sake of the redemption of man. As for His disposition, it was one of compassion and love, and because He was compassionate and loving, He had to be nailed to the cross for man, in order to show that God loved man as Himself, so much so that He offered up Himself in His entirety. Satan said, “Since You love man, You must then love him to the ultimate extreme: You must be nailed to the cross, to deliver man from the cross, from sin, and You shall offer up Yourself in exchange for all of mankind.” Satan made the following wager: “Since You are a loving and compassionate God, You must love man to the ultimate extreme: You should then offer Yourself up to the cross.” Jesus replied, “As long as it is for mankind, I am willing to lay down My all.” And then He went up onto the cross without the slightest self-regard, and redeemed the whole of mankind. During the Age of Grace, the name of God was Jesus, that is to say, God was a God who saved man, and He was a compassionate and loving God. God was with man. His love, His compassion, and His salvation accompanied each and every person. Only by accepting the name of Jesus and His presence was man able to gain peace and joy, to receive His blessing, His vast and numerous graces, and His salvation. Through the crucifixion of Jesus, all those who followed Him received salvation and were forgiven their sins. During the Age of Grace, Jesus was the name of God. In other words, the work of the Age of Grace was done principally under the name of Jesus. During the Age of Grace, God was called Jesus. He undertook a stage of new work beyond the Old Testament, and His work ended with the crucifixion. This was the entirety of His work. Therefore, during the Age of Law Jehovah was the name of God, and in the Age of Grace the name of Jesus represented God. During the last days, His name is Almighty God—the Almighty, who uses His power to guide man, conquer man, and gain man, and in the end, bring the age to its close. In every age, at every stage of His work, God’s disposition is evident. In the beginning, guiding man during the Old Testament Age of Law was like guiding the life of a child. Earliest mankind was newly born of Jehovah; they were the Israelites. They had no understanding of how to revere God or how to live on earth. Which is to say, Jehovah created mankind, that is, He created Adam and Eve, but He did not give them the faculties to understand how to revere Jehovah or follow the laws of Jehovah on earth. Without the direct guidance of Jehovah, no one could know this directly, for in the beginning man did not possess such faculties. Man only knew that Jehovah was God, but as for how to revere Him, what kind of conduct could be called revering Him, with what kind of mind one was to revere Him, or what to offer up in reverence of Him: man had absolutely no idea. Man only knew how to enjoy that which could be enjoyed among all the things created by Jehovah, but regarding what kind of life on earth was worthy of a creature of God, he had no inkling whatsoever. Without someone to instruct them, without someone to guide them personally, this mankind would never have led a life properly befitting humanity, but would only have been furtively held captive by Satan. Jehovah created mankind, that is to say, He created the ancestors of mankind, Eve and Adam, but He did not bestow upon them any further intellect or wisdom. Although they were already living on earth, they understood almost nothing. And so, Jehovah’s work in creating mankind was only half finished, and was far from complete. He had only formed a model of man from clay and given it His breath, but without bestowing unto man sufficient willingness to revere Him. In the beginning, man was not of a mind to revere Him, or to fear Him. Man only knew how to listen to His words but was ignorant of the basic knowledge for life on earth and of the proper rules of human life. And so, although Jehovah created man and woman and finished the project of seven days, He by no means completed the creation of man, for man was but a husk, and lacked the reality of being human. Man only knew that it was Jehovah who had created mankind, but he had no inkling of how to abide by the words or the laws of Jehovah. And so, after mankind came into being, the work of Jehovah was far from over. He still had to fully guide mankind to come before Him, so that they might be able to live together on earth and revere Him, and so that they might be able, with His guidance, to enter upon the right track of a normal human life on earth. Only in this way was the work that had been principally conducted under the name of Jehovah fully completed; that is, only in this way was Jehovah’s work of creating the world fully concluded. And so, having created mankind, He had to guide mankind’s life on earth for several thousand years, in order that mankind might be able to abide by His decrees and laws, and partake in all the activities of a normal human life on earth. Only then was Jehovah’s work fully complete. He undertook this work after creating mankind and continued it until the era of Jacob, at which time He made the twelve sons of Jacob into the twelve tribes of Israel. From that time onward, all the people of Israel became the human race that was officially led by Him on earth, and Israel became the particular location on earth where He did His work. Jehovah made these people the first group of people on whom He officially did His work on earth, and He made the entire land of Israel the point of origin for His work, using them as the beginning of even greater work, so that all people born from Him on earth would know how to revere Him and how to live on earth. And so, the deeds of the Israelites became an example to be followed by the people of Gentile nations, and that which was said among the people of Israel became words to be listened to by the people of Gentile nations. For they were the first to receive the laws and commandments of Jehovah, and so too were they the first to know how to revere the ways of Jehovah. They were the ancestors of the human race who knew the ways of Jehovah, as well as the representatives of the human race chosen by Jehovah. When the Age of Grace arrived, Jehovah no longer guided man in this way. Man had sinned and abandoned himself to sin, and so He began to rescue man from sin. In this way, He reproached man until man had been thoroughly delivered from sin. In the last days, man has sunk to such a degree of depravity that the work of this stage can only be carried out through judgment and chastisement. Only in this way can the work be accomplished. This has been the work of several ages. In using the name of God, the work of God, and the different images of God to divide age from age and make the transition between them, the name of God and His work represent His age and represent His work in every age. Supposing that the work of God in every age is always the same, and He is always called by the same name, how would man know Him? God must be called Jehovah, and apart from a God called Jehovah, anyone called by any other name is not God. Or else God can only be Jesus, and apart from the name of Jesus He may not be called by any other name; apart from Jesus, Jehovah is not God, and Almighty God is not God either. Man believes it is true that God is almighty, but God is a God who is with man, and He must be called Jesus, for God is with man. To do this is to conform to doctrine, and to confine God to a certain scope. So, in every age, the work that God does, the name by which He is called, and the image that He assumes—what work He does at every stage all the way down to today—these do not follow a single regulation, and are not subject to any limitations whatsoever. He is Jehovah, but He is also Jesus, as well as Messiah, and Almighty God. His work can undergo gradual transformation, with corresponding changes in His name. No single name can fully represent Him, but all the names by which He is called are able to represent Him, and the work that He does in every age represents His disposition. Suppose that, when the last days arrive, the God that you behold is still Jesus, and He is moreover riding upon a white cloud, and He still has the appearance of Jesus, and the words that He speaks are still the words of Jesus: “You should love your neighbor as yourselves, you should fast and pray, love your enemies as you cherish your own life, forbear with others, and be patient and humble. You must do all of these things before you can become My disciples. And by doing all of these things, you may enter My kingdom.” Wouldn’t this belong to the work of the Age of Grace? Wouldn’t what He says be the way of the Age of Grace? How would you feel if you were to hear these words? Would you not feel that this is still the work of Jesus? Wouldn’t this be duplicating it? Could man find enjoyment in this? You would feel that the work of God can only remain as it is now and progress no further. He has only so much power, and there is no more new work to do, and He has taken His power to its limit. Two thousand years before now was the Age of Grace, and two thousand years later He is still preaching the way of the Age of Grace, and is still making people repent. People would say, “God, You have only so much power. I believed You to be so wise, and yet You know only forbearance and are concerned only with patience, You know only how to love Your enemy, and nothing more.” In the mind of man, God would forever be as He was in the Age of Grace, and man would always believe that God is loving and compassionate. Do you think the work of God will always tread the same old ground? And so, in this stage of His work He shall not be crucified, and everything that you see and touch shall be unlike anything you have imagined or heard tell of. Today, God does not engage with the Pharisees, nor does He allow the world to know, and those who know Him are only you who follow Him, for He will not be crucified again. During the Age of Grace, Jesus preached openly throughout the land for the sake of His gospel work. He engaged with the Pharisees for the sake of the work of crucifixion; if He had not engaged with the Pharisees and those in power had never known of Him, how could He have been condemned, and then betrayed and nailed to the cross? And so, He engaged with the Pharisees for the sake of the crucifixion. Today, He does His work in secret in order to avoid temptation. In the two incarnations of God, the work and the significance are different, and the setting is also different, so how could the work He does be entirely the same? Could the name of Jesus—“God with us”—represent God’s disposition in its entirety? Could it fully articulate God? If man says that God can only be called Jesus and may not have any other name because God cannot change His disposition, these words are blasphemy indeed! Do you believe that the name Jesus, God with us, alone can represent God in His entirety? God may be called by many names, but among these many names, there is not one that is able to encapsulate all of God, not one that can fully represent God. And so, God has many names, but these many names cannot fully articulate God’s disposition, for God’s disposition is so rich that it simply exceeds the capacity of man to know Him. There is no way for man, using the language of mankind, to encapsulate God fully. Mankind has but a limited vocabulary with which to encapsulate all that they know of God’s disposition: great, honored, wondrous, unfathomable, supreme, holy, righteous, wise, and so on. Too many words! This limited vocabulary is incapable of describing the little that man has witnessed of God’s disposition. Over time, many others added words that they thought better able to describe the fervor in their hearts: God is too great! God is too holy! God is too lovely! Today, human sayings such as these have reached their peak, yet man is still incapable of clearly expressing himself. And so, for man, God has many names, yet He has no one name, and this is because God’s being is too bountiful, and the language of man too impoverished. One particular word or name does not have the capacity to represent God in His entirety, so do you think His name can be fixed? God is so great and so holy yet you will not permit Him to change His name in each new age? Therefore, in every age in which God personally does His own work, He uses a name that befits the age in order to encapsulate the work that He intends to do. He uses this particular name, one that possesses temporal significance, to represent His disposition in that age. This is God using the language of mankind to express His own disposition. Even so, many people who have had spiritual experiences and have personally seen God nevertheless feel that this one particular name is incapable of representing God in His entirety—alas, this cannot be helped—so man no longer addresses God by any name, but simply calls Him “God.” It is as though the heart of man is full of love and yet also beset with contradictions, for man does not know how to explain God. What God is is too bountiful, there is simply no way of describing it. There is no single name that can summarize God’s disposition, and there is no single name that can describe all that God has and is. If someone asks Me, “Exactly what name do You use?” I will tell them, “God is God!” Is that not the best name for God? Is it not the best encapsulation of God’s disposition? This being so, why do you spend so much effort seeking after the name of God? Why should you cudgel your brains, going without food and sleep, all for the sake of a name? The day will arrive when God is not called Jehovah, Jesus, or Messiah—He will simply be the Creator. At that time, all the names that He has taken on earth shall come to an end, for His work on earth will have come to an end, after which His names shall be no more. When all things come under the dominion of the Creator, what need has He of a highly appropriate yet incomplete name? Are you still seeking after God’s name now? Do you still dare to say that God is only called Jehovah? Do you still dare to say that God can only be called Jesus? Are you able to bear the sin of blasphemy against God? You should know that God originally had no name. He only took on one, or two, or many names because He had work to do and had to manage mankind. Whatever name He is called by—did He not freely choose it Himself? Would He need you—one of His creatures—to decide it? The name by which God is called is a name that accords with what man is capable of apprehending, with the language of mankind, but this name is not something that man can encompass. You can only say that there is a God in heaven, that He is called God, that He is God Himself with great power, who is too wise, too exalted, too wondrous, too mysterious, and too almighty, and then you can say no more; this little bit is all you can know. This being so, can the mere name of Jesus represent God Himself? When the last days come, even though it is still God who does His work, His name has to change, for it is a different age. God being the greatest in all the universe, could He fully explain Himself using the image of a flesh? God puts on this flesh in order to do one stage of His work. There is no significance in particular in this image of the flesh, it bears no relation to the passing of ages, nor does it have anything to do with God’s disposition. Why did Jesus not allow the image of Him to remain? Why did He not let man paint His image so that it could be passed on to later generations? Why did He not allow people to acknowledge that His image was the image of God? Although the image of man was created in the image of God, would it have been possible for the appearance of man to represent the exalted image of God? When God becomes flesh, He merely descends from heaven into a particular flesh. It is His Spirit that descends into a flesh, through which He does the work of the Spirit. It is the Spirit that is expressed in the flesh, and it is the Spirit who does His work in the flesh. The work done in the flesh fully represents the Spirit, and the flesh is for the sake of the work, but that does not mean that the image of the flesh substitutes for the true image of God Himself; this is not the purpose or the significance of God become flesh. He becomes flesh only so that the Spirit may find an appropriate place to reside when doing His work, the better to achieve His work in the flesh—so that people can see His work, come into contact with His disposition, hear His words, and know the wonder of His work. His name represents His disposition, His work represents His identity, but He has never said that His appearance in the flesh represents His image; that is merely a notion of man. And so, the crucial aspects of the incarnation of God are His name, His work, His disposition, and His gender. These are used to represent His management in this age. His appearance in the flesh bears no relation to His management, being merely for the sake of His work at the time. Yet it is impossible for God incarnate to have no particular appearance, and so He chooses the appropriate family to determine His appearance. If the appearance of God were to have representative significance, then all those who possess facial features similar to His would also represent God. Wouldn’t that be an egregious mistake? The portrait of Jesus was painted by man in order that man might worship Him. At the time, the Holy Spirit gave no special instructions, and so man passed the portrait on until today. In truth, according to God’s original intention, man should not have done this. It is only the zeal of man that has caused the portrait of Jesus to remain until this day. God is Spirit, and man will never be capable of encompassing what His image is in the final analysis. His image can only be represented by His disposition. As for the appearance of His nose, of His mouth, of His eyes, and of His hair, these are beyond your capacity to encompass. When revelation came to John, he beheld the image of the Son of man: Out of His mouth was a sharp double-edged sword, His eyes were like flames of fire, His head and hair were white like wool, His feet were like polished bronze, and there was a golden sash around His chest. Although his words were extremely vivid, the image of God he described was not the image of a created being. What he saw was only a vision, and not the image of a person from the material world. John had seen a vision, but he had not witnessed the true appearance of God. The image of God’s incarnate flesh, being the image of a created being, is incapable of representing God’s disposition in its entirety. When Jehovah created mankind, He said He did so in His own image and created male and female. At that time, He said He made male and female in the image of God. Although the image of man resembles the image of God, this cannot be construed as meaning that the appearance of man is the image of God. Nor can you use the language of mankind to fully epitomize the image of God, for God is too exalted, too great, too wondrous and unfathomable! When Jesus came to do His work, it was under the direction of the Holy Spirit; He did what the Holy Spirit wanted, and it was not according to the Old Testament Age of Law or according to the work of Jehovah. Although the work that Jesus came to do was not to abide by the laws of Jehovah or the commandments of Jehovah, Their source was the one and the same. The work that Jesus did represented the name of Jesus, and it represented the Age of Grace; as for the work done by Jehovah, it represented Jehovah, and it represented the Age of Law. Their work was the work of one Spirit in two different ages. The work that Jesus did could only represent the Age of Grace, and the work that Jehovah did could only represent the Old Testament Age of Law. Jehovah only guided the people of Israel and of Egypt, and of all the nations beyond Israel. The work of Jesus in the New Testament Age of Grace was the work of God under the name of Jesus as He guided the age. If you say that the work of Jesus was based upon that of Jehovah, that He did not initiate any new work, and that all He did was according to the words of Jehovah, according to the work of Jehovah and the prophecies of Isaiah, then Jesus would not be God become flesh. If He had conducted His work in this way, He would have been an apostle or a worker of the Age of Law. If it is as you say, then Jesus could not have opened up an age, nor could He have done any other work. In the same way, the Holy Spirit must principally do His work through Jehovah, and except through Jehovah the Holy Spirit could not have done any new work. It is wrong for man to understand the work of Jesus in this way. If man believes that the work done by Jesus was according to the words of Jehovah and the prophecies of Isaiah, then was Jesus God incarnate, or was He one of the prophets? According to this view, there would be no Age of Grace, and Jesus would not be the incarnation of God, for the work that He did could not represent the Age of Grace and could only represent the Old Testament Age of Law. There could only be a new age when Jesus came to do new work, to launch a new age, to break through the work previously done in Israel, and to conduct His work not in accordance with the work done by Jehovah in Israel, or with His old rules, or in conformity to any regulations, but rather to do the new work that He should do. God Himself comes to open up an age, and God Himself comes to bring the age to an end. Man is incapable of doing the work of beginning an age and concluding the age. If Jesus did not bring the work of Jehovah to an end after He came, then that would be proof that He was merely a man and incapable of representing God. Precisely because Jesus came and concluded the work of Jehovah, followed on from the work of Jehovah by beginning His own work, new work, it proves that this was a new age, and that Jesus was God Himself. They did two distinctly different stages of work. One stage was carried out in the temple, and the other was conducted outside of the temple. One stage was to lead the life of man according to the law, and the other was to offer up a sin offering. These two stages of work were markedly different; this divides the new age from the old, and it is absolutely correct to say that they are two different ages. The location of Their work was different, and the content of Their work was different, and the objective of Their work was different. As such, they can be divided into two ages: the New and the Old Testaments, which is to say, the new and the old ages. When Jesus came He did not go into the temple, which proves that the age of Jehovah had ended. He did not enter the temple because the work of Jehovah in the temple had finished, and did not need to be done again, and to do it again would be to repeat it. Only by leaving the temple, beginning a new work and opening up a new path outside of the temple, was He able to bring God’s work to its zenith. If He had not gone out of the temple to do His work, the work of God would have stagnated upon the foundations of the temple, and there would never have been any new changes. And so, when Jesus came He did not enter the temple, and did not do His work in the temple. He did His work outside of the temple, and, leading the disciples, went about His work freely. God’s departure from the temple to do His work meant that God had a new plan. His work was to be conducted outside of the temple, and it was to be new work that was unconstrained in the manner of its implementation. As soon as Jesus arrived, He brought the work of Jehovah during the age of the Old Testament to an end. Although They were called by two different names, it was the same Spirit that accomplished both stages of work, and the work that was done was continuous. As the name was different, and the content of the work was different, the age was different. When Jehovah came, that was the age of Jehovah, and when Jesus came, that was the age of Jesus. And so, with each coming, God is called by one name, He represents one age, and He opens up a new path; and on each new path, He assumes a new name, which shows that God is always new and never old, and that His work never ceases to progress in a forward direction. History is always moving forward, and the work of God is always moving forward. For His six-thousand-year management plan to reach its end, it must keep progressing in a forward direction. Each day He must do new work, each year He must do new work; He must open up new paths, must launch new eras, begin new and greater work, and along with these, bring new names and new work. From moment to moment, the Spirit of God is doing new work, never clinging to old ways and regulations. Nor has His work ever stopped, but is coming to pass with each passing moment. If you say that the work of the Holy Spirit is immutable, then why did Jehovah ask the priests to serve Him in the temple, yet Jesus did not enter the temple—even though, when He came, people also said that He was the high priest, and that He was of the house of David and also the high priest and the great King? And why did He not offer sacrifices? Entering the temple or not entering the temple—is all this not the work of God Himself? If, as man imagines, Jesus will come again and, in the last days, still be called Jesus, and still come on a white cloud, descending among men in the image of Jesus: wouldn’t that be a repetition of His work? Is the Holy Spirit capable of clinging to the old? All that man believes are conceptions, and all that man understands is according to their literal meaning, and also according to his imagination; they are out of line with the principles of the work of the Holy Spirit, and do not conform to the intentions of God. God would not work in that way; God is not so foolish and stupid, and His work is not so simple as you imagine. Based on everything that man does and thinks, Jesus will come riding on a cloud and descend in your midst. You shall behold Him who, riding a cloud, shall tell you that He is Jesus. You shall also behold the nail marks in His hands, and shall know Him to be Jesus. And He shall save you again, and shall be your mighty God. He shall save you, bestow upon you a new name, and give each of you a white stone, after which you shall be allowed to enter the kingdom of heaven and be received into paradise. Are such beliefs not the conceptions of man? Does God work according to the conceptions of man, or does He work counter to the conceptions of man? Do not the conceptions of man all derive from Satan? Has not all of man been corrupted by Satan? If God did His work according to the conceptions of man, would He not then become Satan? Would He not of the same kind as His own creatures? Since His creatures have now been so corrupted by Satan that man has become Satan’s embodiment, if God were to work in accordance with the things of Satan, would He not then be in league with Satan? How can man fathom the work of God? Therefore, God would never work according to the conceptions of man, would never work in the ways you imagine. There are those who say that God Himself said that He would arrive on a cloud. It is true that God said so Himself, but don’t you know that no man can fathom the mysteries of God? Don’t you know that no man can explain the words of God? Are you certain, beyond the shadow of a doubt, that you were enlightened and illuminated by the Holy Spirit? Surely it was not that the Holy Spirit showed you in such a direct manner? Was it the Holy Spirit who instructed, or did your own conceptions lead you to think so? You said, “This was said by God Himself.” But we cannot use our own conceptions and minds to measure the words of God. As for the words spoken by Isaiah, can you with absolute certainty explain his words? Do you dare to explain his words? Since you do not dare to explain the words of Isaiah, why do you dare to explain the words of Jesus? Who is more exalted, Jesus or Isaiah? Since the answer is Jesus, why do you explain the words spoken by Jesus? Would God tell you of His work in advance? Not a single creature can know, not even the messengers in heaven, nor the Son of man, so how could you know? Man is too lacking. What is crucial for you now is to know the three stages of work. From the work of Jehovah to that of Jesus, and from the work of Jesus to that of this current stage, these three stages cover in a continuous thread the entire gamut of God’s management, and are all the work of one Spirit. Since the creation of the world, God has always been at work managing mankind. He is the Beginning and the End, He is the First and the Last, and He is the One who begins an age and the One who brings the age to an end. The three stages of work, in different ages and different locations, are unmistakably the work of one Spirit. All those who separate these three stages stand in opposition to God. Now, it behooves you to understand that all the work from the first stage until today is the work of one God, the work of one Spirit. Of this there can be no doubt.